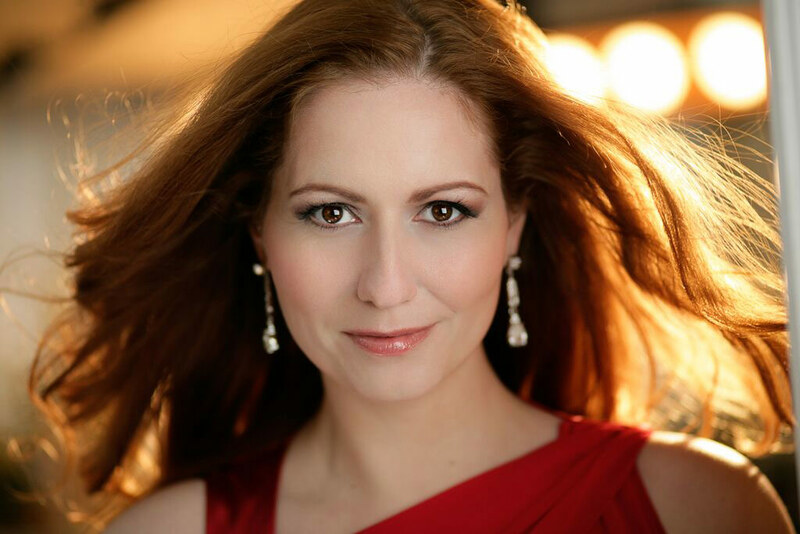 Soprano CHRISTINA RAPHAËLLE HALDANE has two nationalities, Canadian and British, and grew up speaking two languages, English and French. She works from London and Toronto. Christina enjoys an active performing career in the UK, Europe, Asia and North America. Recent highlights includ a return to the Royal Opera House, Covent Garden, to sing Fiorilla (cover) in Rossini’s Il Turco in Italia and Nella (cover) in Puccini’s Gianni Schicchi, a performance of Mercedes in Bizet’s Carmen for the Cambridge Philharmonic, as well as sell out recitals for Handel House London and the Oxford Lieder Festival. Her ‘Capturing Cuzzoni’ Handel program successfully toured the Maritimes and she joined the Kincardine Summer Festival for their 25th anniversary celebrations, performing in recital and singing the solos in Haydn’s The Seasons. For the upcoming 2016-17 season, Christina is thrilled to be part of the exciting new opera The Exterminating Angel by Thomas Adès, covering the role of Silvia, for both the Salzburg Festival and the Royal Opera House, Covent Garden. In Jan 2012 she made her mainland European stage debut, singing Cleopatra to Franco Fagioli’s Caesar, in Finnish National Opera’s daring new production of Handel’s Julius Caesar. This success was quickly followed by a performance with the Capella Cracoviensis and Maestro Alessandro de Marchi, of Handel’s Solomon in Krakow. She made her international operatic debut singing the title role in Donizetti’s La fille du régiment for Musica Viva Hong Kong in 2010, returning in January 2011 to perform Adina in L’elisir d’amore. Her performance of Lucinda in Mendelssohn’s Die Hochzeit des Camacho for the Royal Liverpool Philharmonic Orchestra/European Opera Centre with Vasily Petrenko will also be released on recording in 2014. She reprised her interpretation of Clorinda in Rossini’s La Cenerentola at Iford Arts’ magical Italianate cloister, a role in which she previously made her debut with Scottish Opera. On the concert stage, her Viennese Programme with the Brighton Philharmonic was described as “superb”. The 2013 season also saw her return to her native Canada, to celebrate her Acadian roots by performing a French song recital for the 51st Festival Acadien. Christina joined the Britten centenary celebrations in 2014 by returning to the Cambridge Philharmonic to sing the role of Second Niece in Peter Grimes. She is dedicated to performing contemporary music and was delighted to contribute to the workshops for Mark Anthony Turnage and Richard Thomas’ new opera Anna Nicole at the Royal Opera House. For the Royal Opera House she has performed Rapunzel in Sondheim’s Into the Woods and gave the London premier of Jonathan Dove’s Minterne at the ROH Crush Room. She has also performed the title role in Donizetti’s La fille du régiment for Swansea City Opera, the title role in Janáček’s Cunning Little Vixen for the Oundle International Festival and Fox in Cunning Little Vixen for Longborough Festival Opera, and Coryphée & Sidonie in Gluck’s Armide for Buxton Festival Opera and Pamina in Mozart’s Die Zauberflöte for the Cambridge Philharmonic. Other roles in Christina’s repertoire include Musetta in Puccini’s La bohème, the title role in Handel’s Alcina and Anna Page in Nicolai’s The Merry Wives of Windsor. Christina’s concert performances include Handel Messiah, Bach St John Passion, St Matthew Passion and Jachzet Gott in allen Landen, Mozart Requiem, Coronation Mass and Exsultate jubilate, Rossini Petite Messe Solennelle, Haydn Nelson Mass, Pergolesi Stabat Mater, DeLalande Confitibur tibi and Mendelssohn Hymn of Praise. When studying in Indiana she collaborated with Lukas Foss on his Time Cycle and her performance was hailed as “a triumph”. Christina attended St Michael’s University School in Victoria, British Colombia, Canada, then King Henry VIII School, Coventry, England. She has participated in several summer training programmes, including the Chautauqua Institution with Marlena Malas, the Lake Placid Institute with Phyllis Bryn-Julson, the Britten – Pears Young Artist Programme in Aldeburgh and the Académie Internationale d’été de Nice with Robin Bowman. Christina received a BMus from the University of Toronto Faculty of Music, then spent a year at the Indiana University Jacobs School of Music training with Patricia Wise. She then graduated from the Guildhall School of Music and Drama, where she was awarded a PDVT and an MMus. Christina has been the recipient of awards and scholarships in Canada, England and the USA. She has been funded by the Indiana University Jacobs School of Music, the Chautauqua Institute, the Lake Placid Institute, the Britten – Pears Young Artist Programme, the Mario Lanza Educational Trust, the Canadian Aldeburgh Foundation and the Canada Council for the Arts. She has also been given awards by the Elora Festival Young Musicians Competition and NATS. In September 2015, Christina combined her busy performance schedule with studies, on the DMA program at the University of Toronto under the tutelage of Prof. Darryl Edwards. For this training she is the recipient of the Greta Klaus Graduate fellowship, an Ontario Graduate Scholarship and is grateful for the continued support from the Canada Council for the Arts.